3D printers are slow; so slow that in the time it would take to print a screwdriver, you could just drive to the store and pick one up with a half hour to spare. And that's a problem when a manufacturing job calls for creating units as quickly as possible. And the frustrating thing is that existing 3D printers could technically print faster. It's just a matter of using an extruder that puts out thicker ropes of material, allowing the printer to lay down more material with the same number of movements. But thicker layers means sacrificing the printer's resolution, because the place where one layer ends and the next begins becomes obvious. So a national lab and a corporation set out in the past year to completely reinvent the concept of the 3D printer. Here's what they are working on. Oak Ridge National Laboratory decided to make a faster printer by embracing thicker layers. Using Cincinnati Inc.'s huge BAAM 3D printer, it is working toward a machine that could print 200 to 500 times faster than a standard desktop 3D printer. A few more details about the Oak Ridge-Cincinnati partnership emerged today on 3DPrint.com, which reported that BAAM is capable of printing objects as large as tables and chairs by extruding plastic in layers 0.3 inches wide. Chairs recently on display at the RAPID conference each took about 2 hours and 30 minutes to print. On a normal printer, a chair would take days to print and need to be printed in pieces. The BAAM 3D printer. Photo courtesy of Cincinnati Inc. The site also reported that Oak Ridge is considering processing 3D printed objects after they are printed so that they appear smooth. This could involve sanding or treating the plastic with a chemical like acetone, which is commonly used to make desktop printed items smooth. 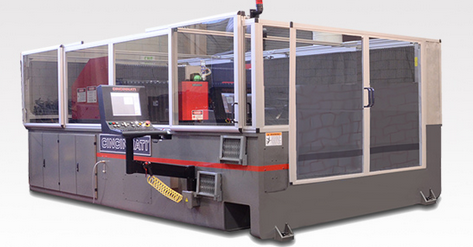 The lab plans to take orders for the machine around the end of the year, according to 3DPrint.com, and will be capable of producing just a handful every year. 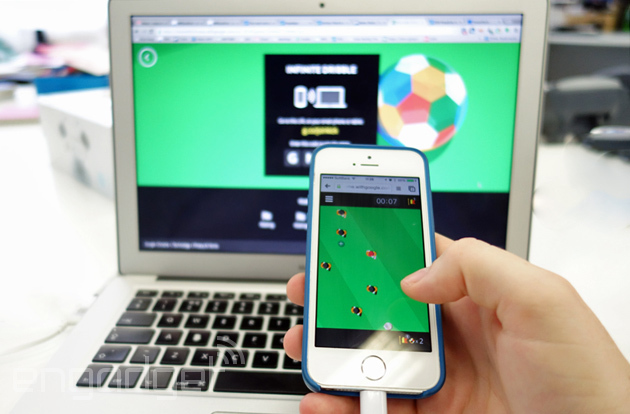 We've had the World Cup doodle, and now Google's Chrome is getting into the Beautiful Game's big tournament, with three experimental games that connect between your smartphone and browser. (Well, the third title, Shootout, can be played on your phone). Compared to prior titles, however,, they're a little lame. We found controls on our iPhone to be,well, outright unstable. Rather than our lack of skill, which is usually to blame for our low scores, a buggy connection and unresponsive controls were what usually stopped our keepie-uppies. Slightly insipid gaming aside (c'mon, they're free and neither Infinite Kick nor Space Kick have an end), the best part is the Brazil-flavored soundtrack. Top scores and bragging rights belong below in the comments, please. If rumors are to be believed, Apple's entry into the smartwatch world is coming soon: Reuters says production will start in July, with an expected launch date sometime in October. And it's going to be (literally) big. The D-Wave 2 is a much-hyped quantum computer, but, as scientists now report, it's not actually any faster than a regular old PC. Wait, didn't we say it was 3,600 times faster just a few months ago? Yes, and both are right. Whether one computer is faster than another is actually a mighty complicated question. Researchers from MIT and Lawrence Livermore have created a new class of materials with the same density as aerogels (aka frozen smoke) but 10,000 times stiffer. Called micro-architected metamaterials, they can withstand 160,000 times their own weight, making them ideal for load-bearing, weight-sensitive applications. To do it, the team created microscopic lattice molds using a 3D printer and photosensitive feedstock, then coated them with a metal 200 to 500 nanometers thick. Once the lattice material was removed, it left an ultralight metal material with a very high strength-to-weight ratio. The process also works with polymers and ceramics -- with the latter, they created a material as light as aerogel, but four orders of magnitude stiffer. In fact, it was 100 times stronger than any known aerogel, making it ideal for use in the aerospace industry. Given that it was funded by DARPA, it could also end up on robots, drones or soldiers. There are more pain points with conventional banking than can be reasonably discussed, but retail bank Simple has set out to kill as many of them as possible. The company's latest improvement is drastically reduced transfer times between bank accounts. Where it used to take four days to move funds from an external account into Simple (or nearly any other bank), it now only takes one day. Moving money from your Simple account to an external one used to take five days, and now it's down to three. The nightly cutoff for taking advantage of this speedier service is 10 p.m. 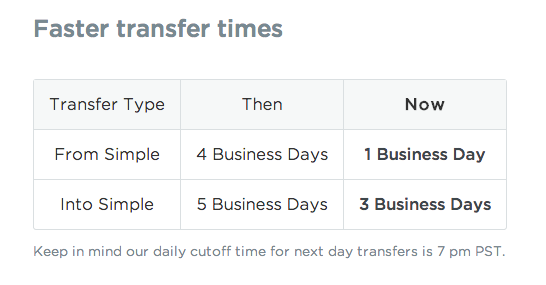 ET — make your transfers before then each day! Some banks charge a fee for transferring your money to external accounts, and only offer accelerated transfers at a premium. Today, Bank of America and Wells Fargo, for example, charge $3 to move your money to another bank. If you want that money to arrive the next business day, the fee shoots up to $10 per transfer. Note that it costs banks less than a cent to send an ACH transfer. We don’t believe in unnecessary fees. External transfers to and from Simple will remain free for customers. Free, faster bank transfers sound pretty agreeable to us. The murky world of lobby groups bankrolling politicians is garnering more attention, but is there a way to find out which representatives are in the pocket without a lot of tedious research? A 16-year-old programmer has developed a browser plugin that, when you mouse-over the name of a US lawmaker, will serve up a list of which parties have donated to their campaign funds, and the quantities. Greenhouse (geddit?) is currently available for Chrome and Safari, with Firefox coming at some point in the future -- although our lawyers have (probably) asked us to point out that the data is from the 2012 elections, so they may not be entirely up to date. It might be a little too early in the morning to have your mind blown, but this audio illusion is worth your time because it demonstrates your brain's uncanny ability to use new information to help process something that is otherwise incomprehensible. The Amazon Fire Phone's Dynamic Perspective—the famed "3D effect"—works almost as if by magic. As you look at the phone and move it around, the Fire Phone watches you back, and changes what you see. It's not voodoo, though. It's crazy camera tech. Here's a closer look at how it works, even in the dark. Since 2011 the FCC has collected data on the wired (there's a separate report for wireless) broadband speeds US residents are actually receiving to release in its Measuring Broadband America report, and now the most recent one is here. First, the good news -- based on its data (collected from "Whitebox" devices sent to around 10,000 participants that performed automated tests during September 2013), most ISPs were meeting or exceeding their advertised speeds even during peak hours. Four that couldn't deliver 90 percent or more of their advertised rate during peak hours included Verizon, Frontier, Qwest and Windstream -- all of which can expect a letter from the FCC asking why not, for whatever good that will do. So if ISPs are delivering 101 percent of advertised speeds, why are users still seeing buffering notifications and experiencing slowdowns? There are a few reasons (not including the shameful state of U.S. broadband former commissioner Mike Copps called out in recent comments), and one that it looked closely at is consistency. 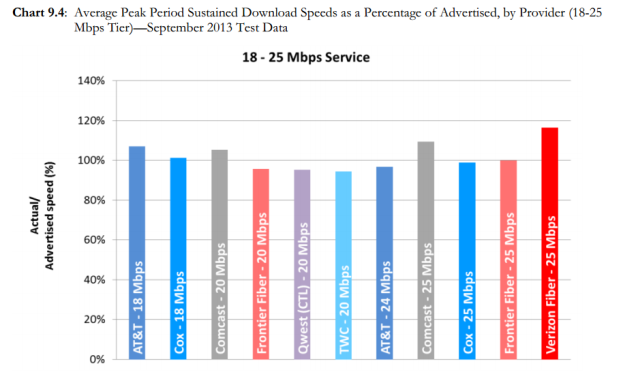 The way the FCC's report measures that, is by showing how many of the service's customers get a certain percentage of the advertised speed, a certain percentage of the time. With the bar placed at 80 percent of the customers, 80 percent of the time, the only services pushing higher-than-advertised download speeds were Verizon FiOS and Cablevision. Another issue is that DSL lagged behind cable, fiber and even satellite in being able to meet its advertised speeds -- averaging 91 percent of the promised download speeds during peak periods, as compared to 102 percent for cable. Of course, as everyone has recently become familiar with, another issue is apparent slowdowns at "certain interconnection points" during the test period. The FCC didn't include that info in this report, but says it will have new tests ready to measure the impact of network congestion by the testing period planned for later this year. It's working with services like Netflix, YouTube and Hulu to analyze the data, and previously announced it was looking into the interconnection deals between Netflix and Comcast/Verizon. In a separate blog post, the FCC specifically called out drops in broadband performance during times when internet middleman Cogent was having its disputes, and says it will release the raw data it collected. Also, data on interconnection congestion will be made public, & @FCC will work w. Netflix, Hulu & others 2 further analyze. The million dollar question(s) however, are how this report will play into the commission's actions on net neutrality, peering agreements and proposed mergers by communications giants. If DSL doesn't measure up as a competitor to cable, does this mean the Time Warner Cable / Comcast deal shouldn't go through, but maybe AT&T / DirecTV should? 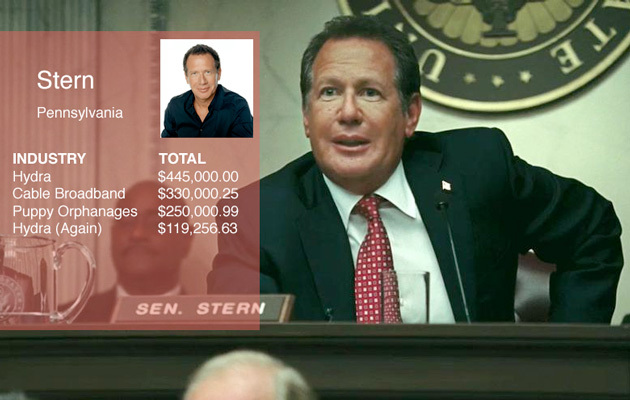 And who exactly is telling the truth between Netflix and the ISPs? The FCC is receiving more scrutiny than ever about its handling of all of the above -- if you need some supporting info for your comments, just hit this link. It's easy to think of Intel as a hardware company, the sort of chip-making giant that helps build wearables, cable-free laptops, smart baby onesies. Today, though, the company is showing off software, for a change. 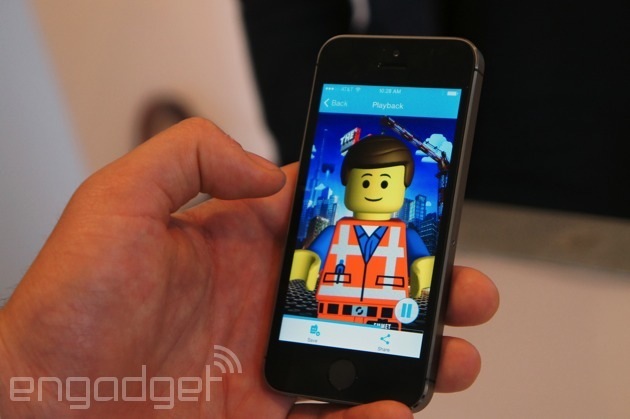 The chip maker just unveiled Pocket Avatars, a mobile messaging app that lets you send video messages to friends. Actually, "video messages" doesn't really describe it. These aren't so much videos as 3D avatars that happen to speak in your voice. In particular, the app makes use of facial recognition -- a pet project of Intel's -- to mimic gestures like nodding, blinking, sticking out your tongue, and raising your eyebrows. All told, it's a lot of real-time processing, which means the messages are going to be fairly short: You've got 15 seconds to say what you want to say. The app, available today for iOS and Android, includes an avatar store of sorts, where you can download 45 avatars, either for free or 99 cents. Of the bunch, you'll find some familiar characters, including those from the Lego series, Gumby, Care Bear and The Jim Henson Company (gotta give Intel credit for being thorough in its avatar-making deals, we suppose). In addition to sending to folks in your contact list, you can also post your clips to the usual services -- Facebook, Twitter, et cetera. That doesn't mean you should (we might unfollow you), but hey, at least it sounds less annoying than Slingshot. Facebook's Slingshot messaging app is oft-compared to Snapchat in regards to the app's function, but many have pointed out the app's aesthetic similarities to another popular app, TapTalk. 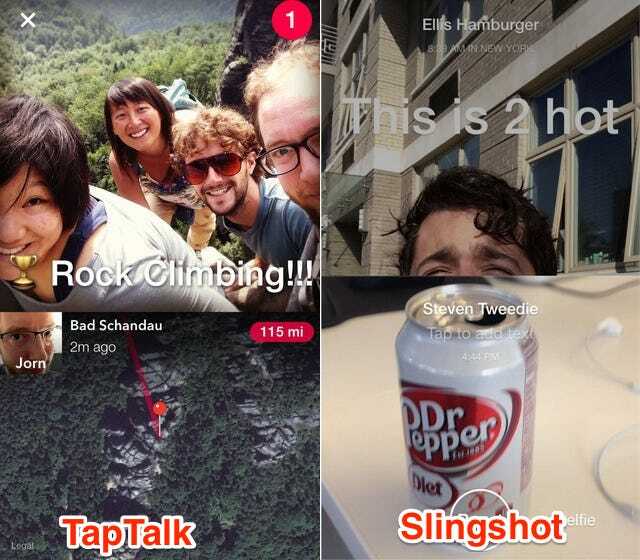 TapTalk is a video and photo app that was released earlier this year, well before Facebook's Slingshot app. People are arguing that Facebook used the look of TapTalk, combined it with the functionality of Snapchat, and added the send-one-to-see-one feature as a twist. To start, the icons do bear a strong resemblance to each other. TapTalk also features a split-screen mode for sending and responding to messages. Slingshot usually operates in full-screen portrait mode, but a specific "React" feature does have a split-screen design for recording one's reaction to a message. To send a message on TapTalk, there's a square grid that holds small square pictures of all your contacts. Tapping a contact's square both records a picture and selects who the picture message will be sent to. The square grid carries a similar look to the pixelated aesthetic of the app's icons. Slingshot's design also carries a distinct focus on the blocky pixelation aesthetic; each time you send a message, there's a nifty little animation that pixelates your photo and launches it away. Since you have to send a picture first in order to unlock any messages you haven't seen yet, locked messages are deliberately pixelated, too. The similarities between Slingshot and TapTalk are certainly there, and using both apps, it's easy to get a weird sense of déjà vu &mdas! h; even though there are some significant differences in the focus of each app. TapTalk is all about speed and streamlining the number of taps to send a message. Slingshot, on the other hand, deliberately slows down the conversation by requiring users to first send a reply before viewing a new message. It's a twist that brings a lot of delay and friction to conversations, but it also ensures people using Slingshot won't simply lurk; it forces engagement. You could also make the argument that using pixelation as a design aesthetic isn't solely TapTalk's turf, and there are plenty of photo apps that utilize a split screen feature. But in an already crowded messaging app market, differentiation is key, and invoking the core feeling of another app is never a good thing. It's murky and subjective territory, so we'll let you be the judge. 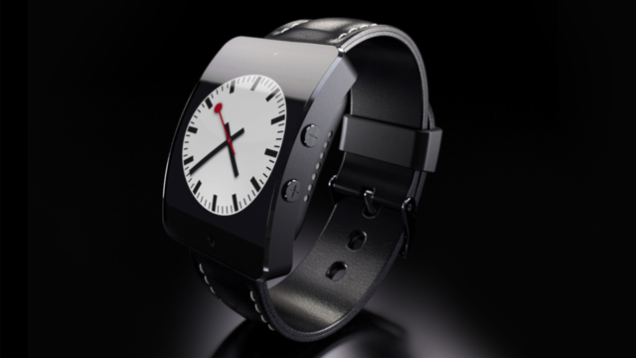 Still not sold on smartwatches, but want to know what's going on with your phone without taking it out of your pocket? 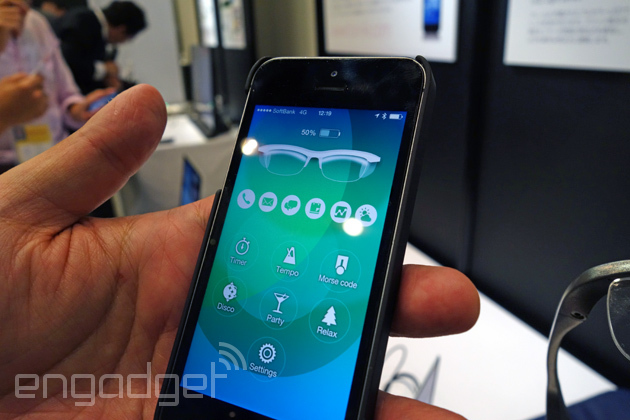 Maybe Matilde's Fun-iki glasses, spotted at CNET Japan's Live 2014 event, will do the trick. Connecting to smartphones through WiFi, a trio of LEDs above each lens will glow (or pulse) when there's a notification, or simply to add a little, er, color to your complexion. The lights cycle through various shades of red, green and blue, and you're able to assign specific colors to specific notifications: these frames aren't limited to just phone calls and email pings and adding further third-party apps' notifications is apparently easy. There's speakers within the arms, while it charges through the micro-USB port on the left side -- we're told it'll typically blink and glow for around two days. 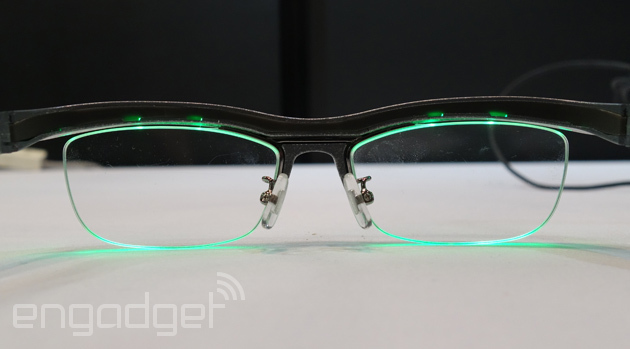 It's a pretty simple pair of glasses: notifications are pretty much it -- there's no interactive component or camera within the hardware itself, but you can setup the notifications, color cycles and pulse rates through a companion app. There's also three different light-up modes: 'disco' and 'party' make the LEDs go a little crazy (just think of the Tinder applications), while 'relax' mode takes gentler hues and fades them in and out. Oh and there's a morse code mode, where you can flash out a specified message. Because anachronisms. The company says that it expects them to go on sale later this year, for a pricey 15,000 yen (around $147). Interestingly, the initial product could open up different styles: there's not much stopping Matilde adding prescription lenses, or even adding some water protection. (It's working with Paris Miki, an established Japanese glasses-maker, on the project). The company said that work is already underway on sports activity apps for the hardware. Given the squash goggle styling of the hardware, we reckon there's some potential there. If you're worried about the NSA listening in on your smartphone, Silent Circle's "Blackphone" may be the last best hope. First announced in January, the Android-based phone goes on sale before the start of July for $629, according to NBC News. While the price is a bit hefty, it comes with impressive features, including fully encrypted voice, text, and video calls, and a virtual private network that anonymizes web surfing — all built on a custom version of Android. Demand for such a device certainly ramped up after Edward Snowden began leaking top-secret documents detailing NSA surveillance programs, but Silent Circle had been working on the device long before. "We did this because there was a problem that was not being solved: secure communications," CEO Mike Janke, a former Navy SEAL, told AFP in January. 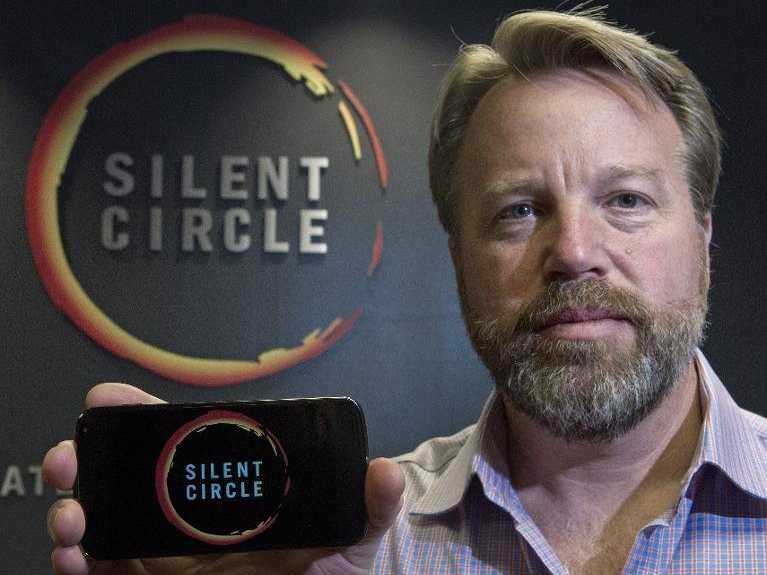 With Janke leading the company, Silent Circle's team includes a number of cryptographic experts. including Phil Zimmermann, the creator of the widely-used PGP (Pretty Good Privacy) standard. The company has taken great pains to ensure it could not give up user data, even if compelled to by a government. 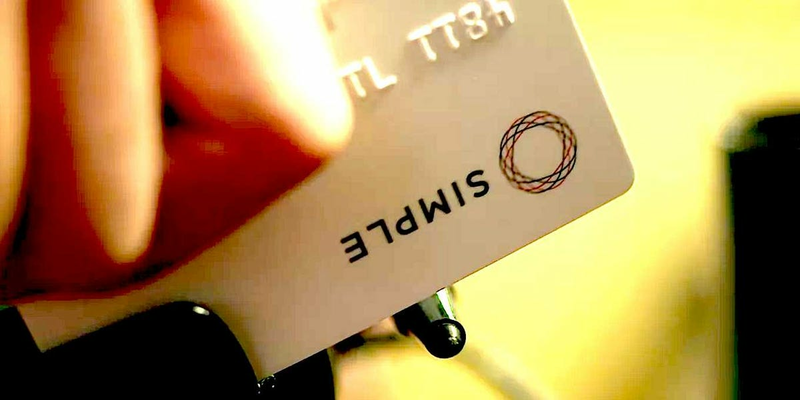 While many U.S. companies receive controversial national security letters forcing them to share customer info, Silent Circle is incorporated in Switzerland and has Swiss data centers. But the main thing that sets the security of the phone apart is that the encryption itself resides only on the handset. While encrypted data passes through the company's servers, the individual keys necessary to unlock and read the data are only on the phones. Basically, if Silent Circle was forced to hand over data, all they could give up is a bunch of encrypted gibberish. "There is no such thing as a completely secure phone," Janke told AFP. "! Nothing is going to protect you from your own behavior. But out of the box, this phone does a lot of things to protect your privacy." Silent Circle isn't the only company to come up with such a device. Boeing unveiled their own version of a "black" phone in February that had a "self-destruct" feature. Facebook has announced a new product that should have Cisco shaking in its boots (and we're not talking about its Snapchat-killer Slingshot). On Wednesday, Facebook introduced Wedge, making good on its promise from last year to push into the $23 billion Ethernet switch market, currently dominated by Cisco. 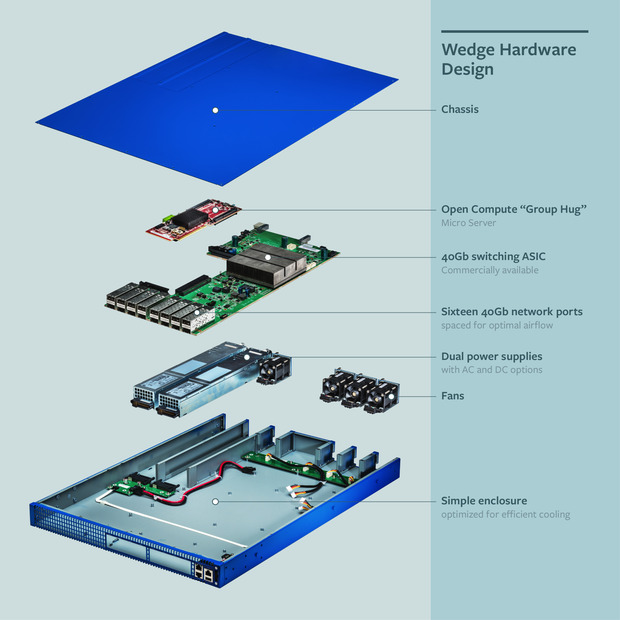 Wedge is part of the Open Compute Project (OCP), one of the most important tech projects Facebook has ever created. OCP began in 2012 as a radically new way to build and buy computer hardware. It creates free and "open source" designs where anyone can contribute to the designs and use them for free, ordering them from a contract manufacturer. The hardware it designs ranges from computer servers to hard drives to the racks that hold them all. While Facebook still leads the project, it has grown into an industry phenom. In 2013, Facebook saved "over $1 billion" by using the hardware invented by CEO Mark Zuckerberg. And a year ago, OCP announced plans to build a network switch. And not just any network switch, but one designed as a software-defined networking (SDN) device. SDN is a radically new way to build networks that threatens Cisco, or at least Cisco's 60+% profit margins. SDN takes the fancy features baked into network equipment – things like security, mana! gement&n bsp;– and puts them into software, turning the hardware into something that dumbly moves bits of information around. The hardware switch becomes easier to move around and manage, and far less expensive, all things that work better with today's cloud-computing environments. 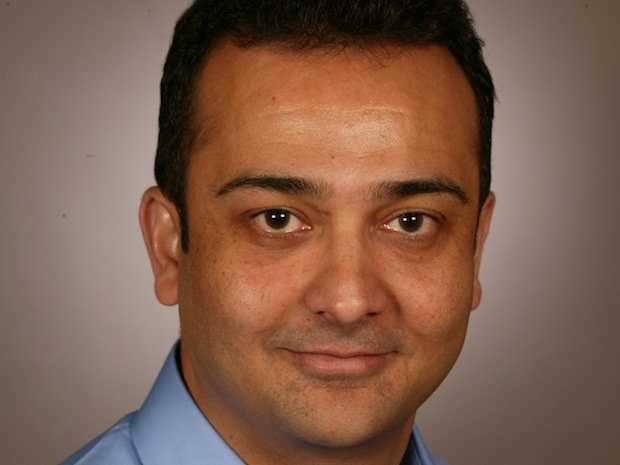 Cisco has already recently released its own SDN product line. These products encourage customers to keep buying Cisco's high-performance but expensive gear by including features that will only work with said Cisco's products. No doubt a lot of enterprises will want that. But Facebook's switch is a threat for a lot of reasons. For one, Facebook is already testing it in its own data centers, one of the most demanding environments around, it said. For another, like we mentioned, it's "open source." Cisco gear is somewhat like Apple's gear. Cisco controls and keeps secret every part of it from the operating system to the custom processors. The Wedge is different. Everything from the software to the choice of processor (Intel, AMD, or ARM), is "open source" meaning others can see and use or modify the design. Unlike with traditional closed-hardware switches, with “Wedge” anyone can modify or replace any of the components in ! our desi gn to better meet their needs. OCP has already attracted some big players beyond Facebook, too, including Microsoft, Intel, Goldman Sachs, Rackspace, and many others. It's worth noting that enterprises cannot buy this switch from Facebook. They would have to order it from a custom manufacturer, just like all other OCP designs. But if this switch does well for Facebook, enterprises will be encouraged to try SDN. And up-and-coming competitors to Cisco, like Arista and Big Switch (an SDN startup), are involved in OCP and are standing by to cash in. Fleksy's already brought its intuitive touch keyboard to the Galaxy Gear, but now Samsung's smartwatches all run Tizen, it needed an upgrade to operate on the phone maker's own OS. 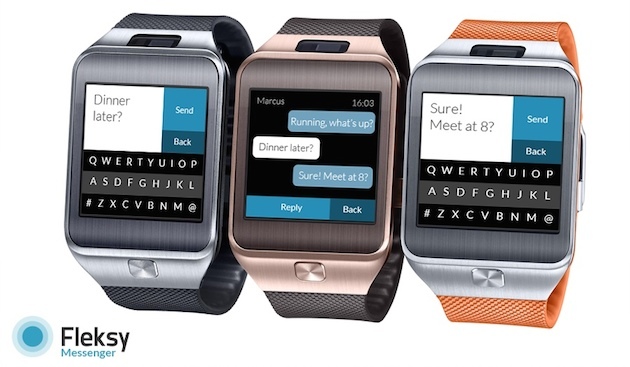 That's exactly what the company has done with the release of a new messaging app for the Gear 2 smartwatch, which delivers a diminutive yet fully-featured predictive keyboard capable of accessing your SMS conversations and contacts. As a dedicated messaging app, it also handles all of the heavy lifting, letting you send and receive messages directly from your wrist. In order to operate, the app syncs with your Samsung smartphone, which Fleksy says "integrates all information from both devices." There's no word on whether you'll be able to load Fleksy Messenger on the original Gear, but it is now available as a free download from Samsung Apps. Hopefully an enterprising developer will port it over. We only remember a few things from science 101, but we're reasonably certain that water boils at 212 degrees (Fahrenheit) and freezes at 32. Scientists at Stanford's SLAC National Accelerator Laboratory, armed with a Linac Coherent Light Source X-Ray Laser, however, have shown us otherwise. 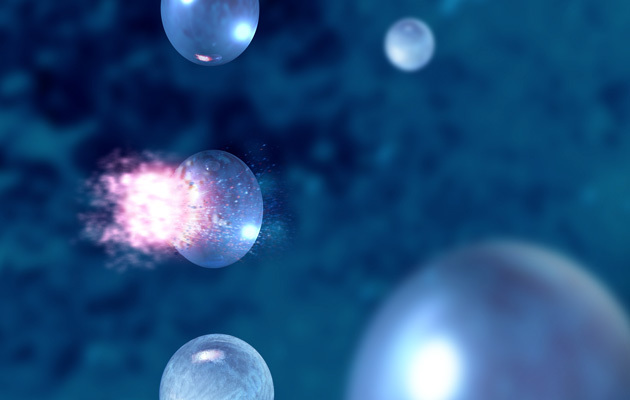 Should you be armed with such a device, the normal rules of physics no longer apply, and -- for the first time -- it becomes possible to observe water right down to its molecular level, even while it is supercooled as a liquid to minus 52 degrees Fahrenheit. Although supercooling water has long been possible, it's been mostly impossible to observe and understand what happens during this process. One of the key things that the SLAC team has discovered, by using the X-Ray laser, is that water is able to, for want of a better word, "sweat." As they sent chilled droplets down a vacuum chamber into the eye of the laser, they observed that some droplets rapidly evaporated, allowing the rest of the water to enter its supercooled state. What's the point in all of this? The atmosphere absorbs different levels of solar radiation depending on if the water is in a crystalline or liquid state. Being able to understand how much of each is floating around the earth at any one time is key to being able to predict levels of climate change -- and, hopefully, finding a way to prevent it. 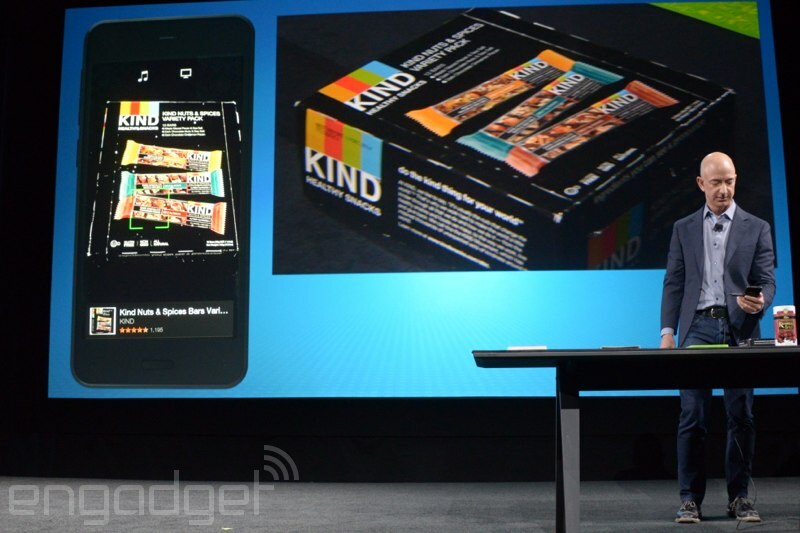 So yes, Amazon's phone is a real thing... and it's turning out to be quite a sales tool, too. Jeff Bezos just pulled back the curtain on the device's Firefly feature, which scans music, art and even products you have laying around in the real world. Why? So you buy can it all from Amazon, of course. Here's how it works: you'll be able to use the phone's Firefly app (which you can invoke with a dedicated button) to snap images of DVDs, books, QR codes, CDs, bar codes, and more. From there, the app chews on that data to recognizes it and finds them in its massive database. Music and video are no match for Firefly either, as the app can listen in on content of both types -- you'll get a more detailed view, along with the ability to buy that stuff directly from Amazon (or, you know, play it through iHeartRadio). The initial impression Firefly gave off made it seem like an app tailor-made to drive more sales on Amazon, but there's a little more to it than that. With the ability to recognize street addresses and phone numbers, Amazon wants to make Firefly a part of your everyday life -- Bezos probably doesn't want you to scribble down another address ever again. And here's the really big bit: Amazon is making a Firefly SDK available to developers, so they can bake those audio, visual, and text recognition smarts into their own apps. Want to add your lunch to MyFitnessPal? Snap a photo of it, and let Firefly do all the heavy lifting in the backend; that corresponding nutritional data should be where it should before long. Amazon's Fire Phone. Will you get one? 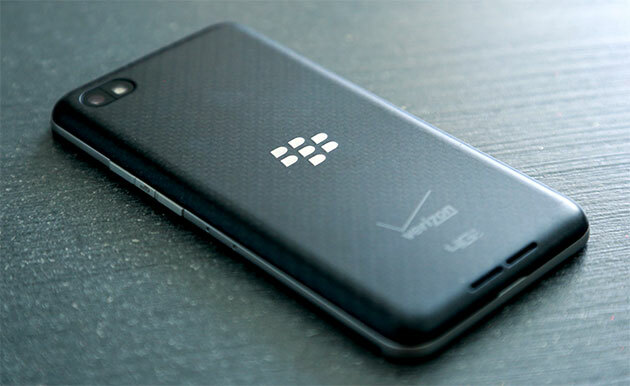 BlackBerry users haven't exactly had an abundance of apps to choose from lately, due in no small part to the once-legendary phone maker's dwindling market share. However, the company just reached an app library deal with Amazon that could give you a reason to hang on to that Q10 or Z30. When BlackBerry 10.3 launches in the fall, it will have access to the Amazon Appstore's catalog of 200,000-plus Android apps -- you'll have little trouble finding Minecraft, Netflix and other big-name titles. BlackBerry's own app library isn't going away. However, you can't count on the official media stores lasting for much longer; BlackBerry World's music and video sections are shutting down on July 21st. While you'll still have access to your existing purchases, you'll have to look to third-party services for anything new. That's unfortunate if you regularly shop for flicks and tunes from your phone, but the larger Android library might help mitigate the loss. If a piece of content makes a reader feel a certain way, the reader is more likely to share it on social media. 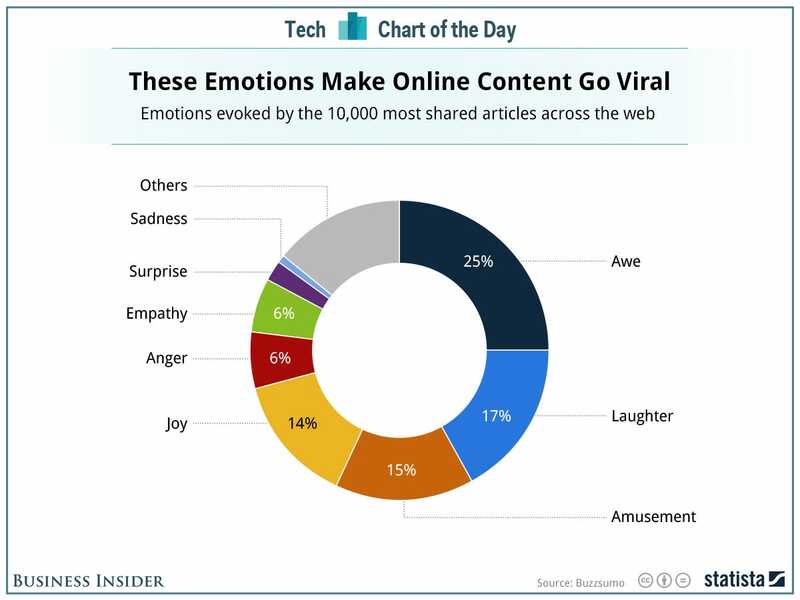 Which emotions lead to the most shares? BuzzSumo's Noah Kagan analyzed the top 10% of articles that get shared online. From those articles, he found that articles that make a reader feel "awe" get shared most. Making a reader laugh means a higher probability of sharing too. Articles that make people feel sad get shared infrequently. Other factors that contribute to an article's shareability include length (aim for about 2,000 words) and use of photos. Chart via Statista. Consumers Have Changed, So Should Advertisers -- ClickZ -- June 4, 2009. Social Media Benchmarks: Realities and Myths -- ClickZ -- May 7, 2009. The ROI for Social Media Is Zero -- ClickZ -- April 9, 2009. How to Use Search to Calculate the ROI of Awareness Advertising -- ClickZ -- March 12, 2009. A New Immutable Law of Marketing -- The Law of Usefulness -- Marketing Science -- February 17, 2009. Social Intensity: A New Measure for Campaign Success? -- ClickZ -- February 11, 2009. Connecting with Consumers: Next-Generation Advertising on the Web -- AssociatedContent -- January 30, 2009. Beyond Targeting in the Age of the Modern Consumer -- ClickZ -- January 14, 2009. 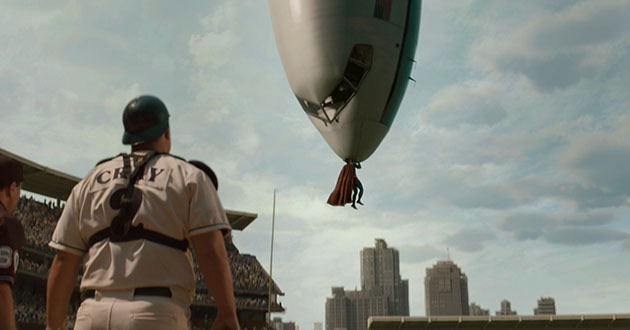 Experiential Marketing: Experience is King -- ClickZ -- December 18, 2008. Search Improves All Marketing Aspects -- ClickZ -- November 20, 2008. Do something smart, not just something mobile -- iMediaConnection -- November 7, 2008. Social Commerce: In Friends We Trust -- ClickZ -- November 6, 2008. The New Role of the Digital Agency -- RelevantlySpeaking -- October 29, 2008. Make Digital Work for Your Customers -- ClickZ -- October 23, 2008. Social Networking: Make Your Product Worth Talking About -- HowToSplitAnAtom -- October 23, 2008. Social Media Ads are DOA -- MediaWeek -- October 13, 2008. Missing Link Marketing -- Marketing Science. -- September 22, 2008. 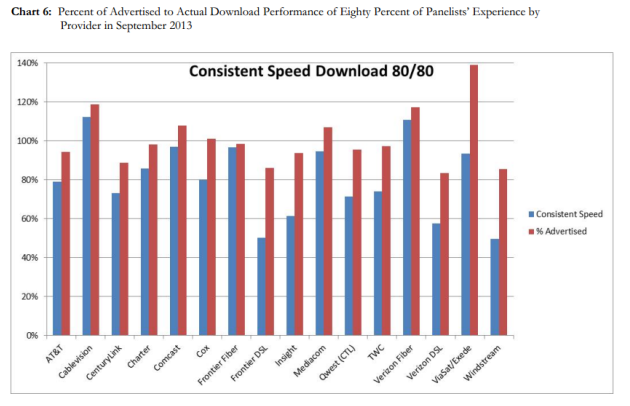 The Need for Speed -- MediaPost -- September 22, 2008. SEO Can't Exist in a Vacuum -- HowToSplitanAtom -- October 8, 2008. A Different Perspective On Social Media Marketing -- Marketing Science. -- July 15, 2008. WOM: Just Don't Do It -- Adweek -- July 14, 2008. Tips for Success in a Web 2.0 World -- iMedia. -- April 23, 2008.